I have this love/hate relationship queuing up for Tim Ho Wan. I always like being the first in line. Even in Hong Kong, I always make sure I am the first in line. If not first, I would settle for top 10. But even with all that “hard work”, I would usually be bumped off the line. Why? ‘Cause my friends are always late. 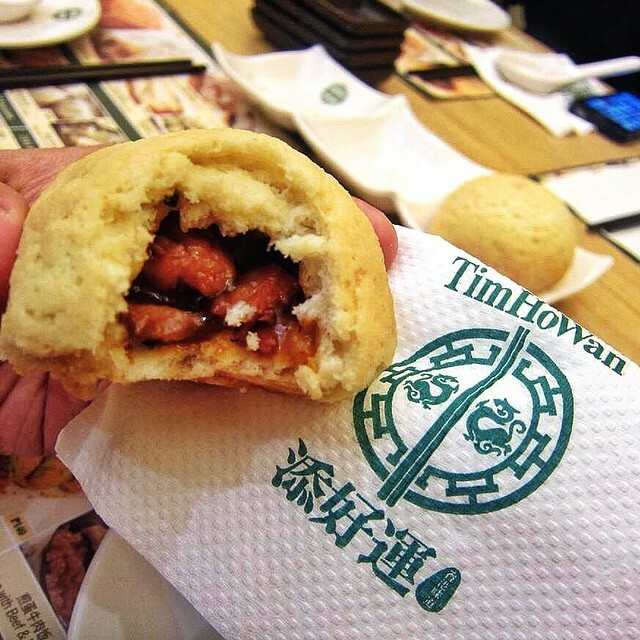 Tim Ho Wan itself does not need any more introduction. 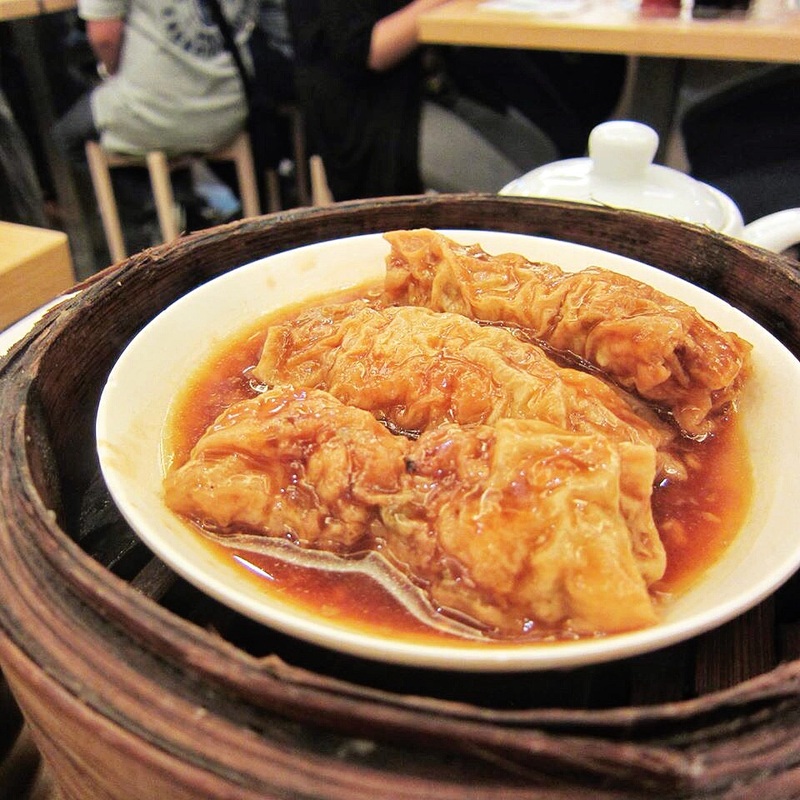 It is well-known for being the “World’s Cheapest Michelin Star Restaurant”, although the Philippine branch does not carry the prestigious star. The star is only awarded to its Hong Kong branch, more specifically to the one in Mong Kok. The country as for the moment, still don’t have any Michelin Star Restaurant… yet. I am still optimistic that we will have one very soon. 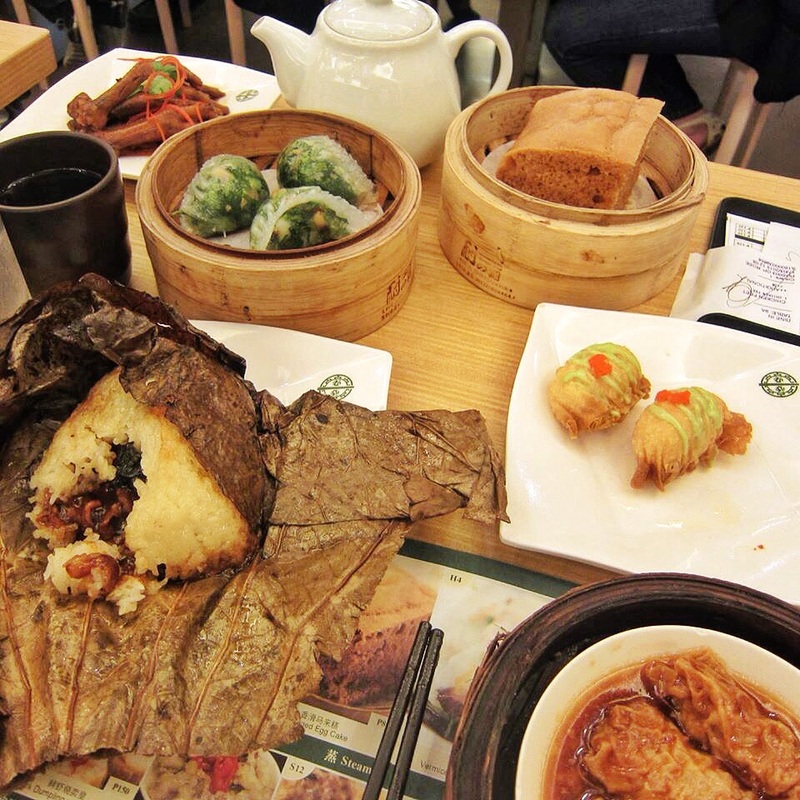 Anyway, enough with that… I will focus this post on my 8 favorite Dim Sums in Tim Ho Wan. 8.) 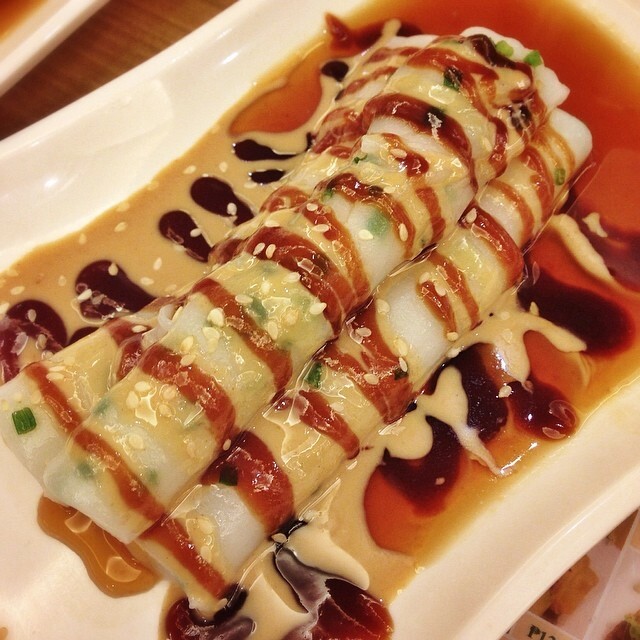 Vermicelli Roll with Sweet & Sesame Sauce, this is good to have in between Dim Sum varieties, in order to break monotony and richness of the dishes. Sort of like a “palette cleanser” in some way. 7.) Beancurd Skin Roll with Pork & Shrimp, unlike most Chinese restaurants in the country, the beancurd skin used tastes clean. It does not have that sour after taste. 6.) 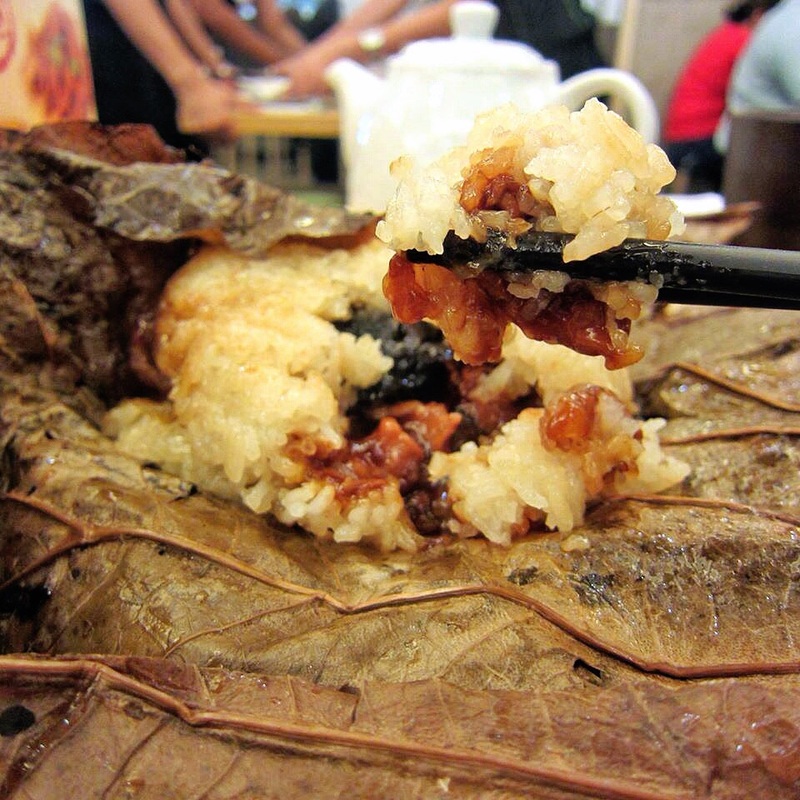 Glutinous Rice with Lotus Leaf, I love the smell of lotus leaves, I love the aromatic tea smell it imparts to the rice, and I love the chunks of barbecued pork. 5.) 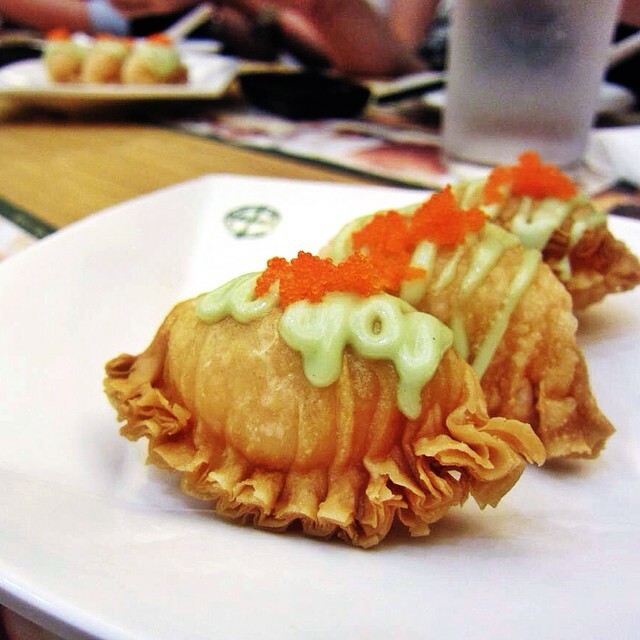 Wasabi Salad Prawn Dumpling, I like this more than the steamed version for two reasons. First, I think they fill this with more shrimps than the steamed one. Second, the wasabi mayo worked really well. 4.) 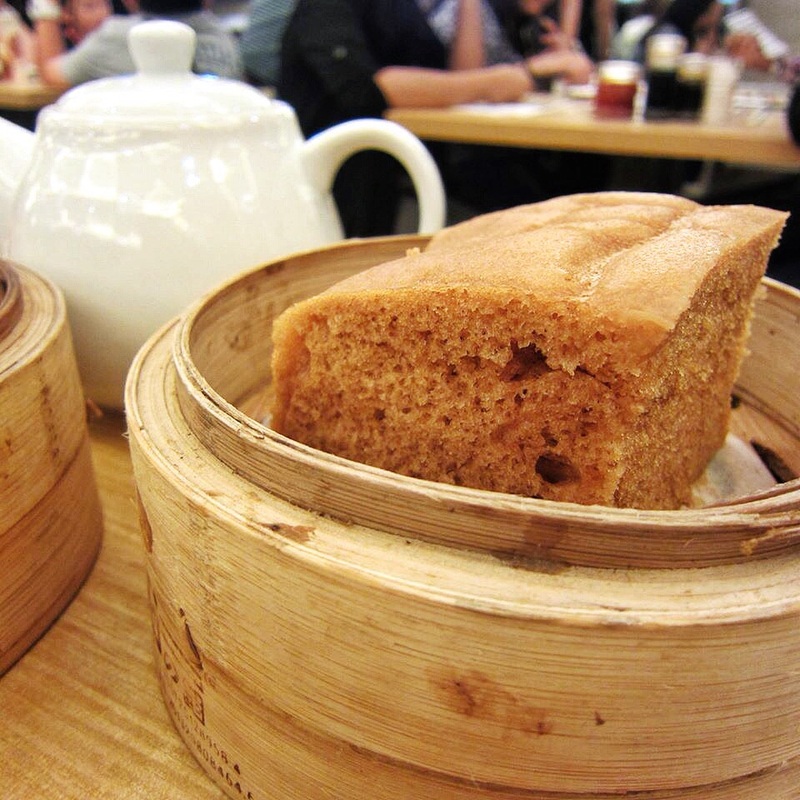 Steamed Egg Cake, this is a must order for me in any Dim Sum place. I am kind of addicted to the molasses flavor, and the sponge texture of the cake. 3.) Baked Bun with BBQ Pork, what? Only number 3? Well, sad to say… yes. 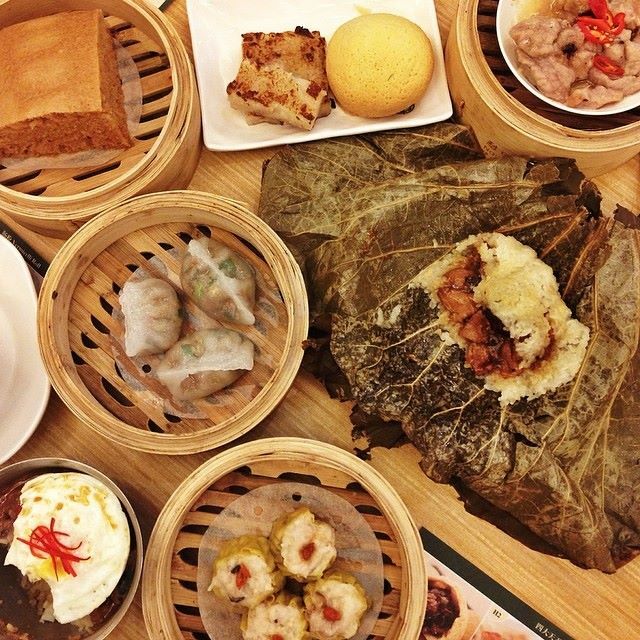 Not because it’s not good, but because there are better dim sums that are yet to be discovered. I like the crunchy bun, I love the chunks of meat, I like the aroma. 2.) Steamed Chicken Feet in Abalone Sauce, this has the right balance of saltiness, sweetness, and fattiness. 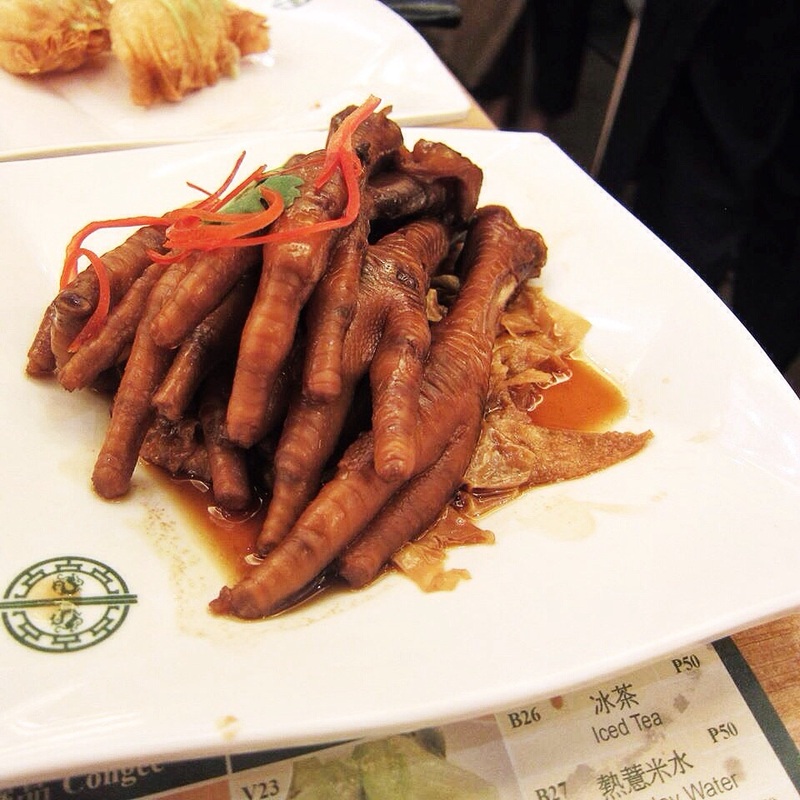 The chicken feet are cooked perfectly that in such a way the cartilage are already soft enough, but is still intact and not falling apart. 1.) 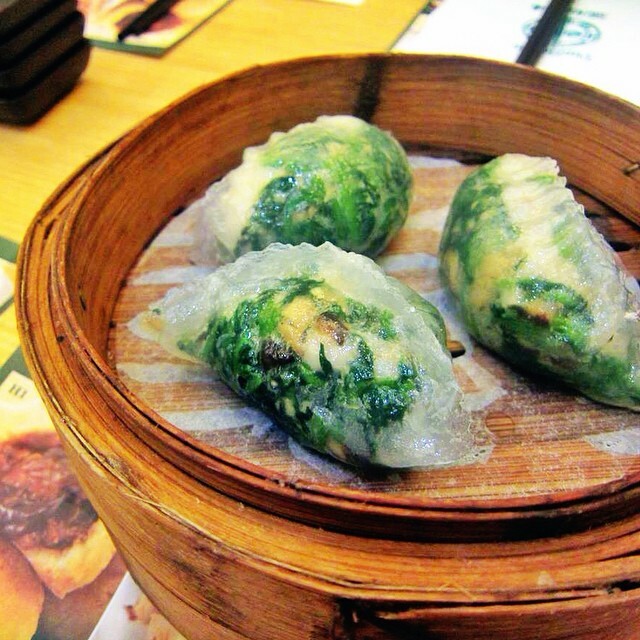 Spinach Dumpling with Shrimp, the spinach used is young, tender, fresh. A jolt of garlic liven up the simple packet, and make you wanna eat some more. Really simply but if done well, amazing. Note: No reservation, and no take-out. People who wants to take-out, must also fall in line, get a table, order from the order sheet, pay service charge, then have everything to go.